Come and visit us to experience historic and royal history mixed with the contemporary rhythm and excitement of 21st century London. Upon completion, scheduled for October 2014, Hill House will set a new benchmark in stunning luxury space outside of Central London. Under the guidance of owners Orchard Street Investment Management, Hill House is being comprehensively refurbished by a team of experts led by leading architect and interior design practice MoreySmith. 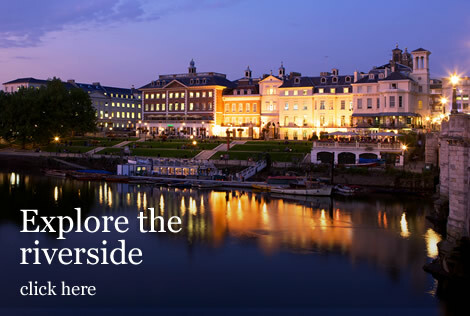 Click here for maps and travel advice for getting to Richmond Riverside.